Get the scoop on the Emerald City's famous landmarks and hidden gems. "I wish there were more City Sights games for other cities. I absolutely love this game! The assignments are such a joy to work towards. Seeing the sights that are in Seattle is also a nice treat. Please make other City Sights games, I'll definitely buy them all!" As a respected travel journalist, you are off on a new assignment in Seattle to write a featured editorial for an exciting travel magazine. 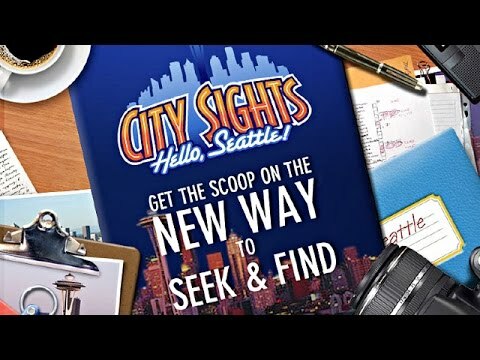 Get the scoop on the new way to seek and find the Emerald City's famous landmarks and hidden gems. Explore over 50 celebrated locations: the Space Needle, Gasworks Park, and Pike Place Market. Learn fascinating city facts as you uncover thousands of objects throughout Seattle's picturesque sights.